Haven’t seen this special? Guess you’re deliberately avoiding it and that’s your choice. This cartoon and the book of the same name are a Christmas tradition for many. Done on a small budget, there are quirks, continuity issues, choppy animation and some quite scantily mixed sound moments. I think it adds to the love. 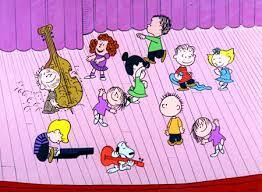 A Charlie Brown Christmas aired Thursday, December 9, 1965. Followed the Gilligan’s Island, “Don’t Bug the Mosquitoes” and pre-empted The Munsters (nooooooo!!!). Charles M. Sculz insisted ABC not have a laugh track. I like that. I hate laugh tracks. I’ll laugh when I feel like laughing, I don’t need to be cued. 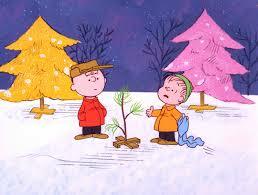 Lucy refers to Charlie Brown as Charlie, first, last and only time he’s referred to by his first name only. He’s been called Chuck and Charles. It has been rumoured that the negative publicity aluminum Christmas trees received in the special caused their demise. 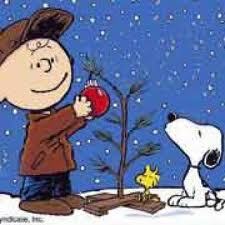 Hugely popular between 1958-1965, just two years after the first airing of A Charlie Brown Christmas these trees ceased regular manufacturing. Kathy Steinberg (Sally) and some of the other children couldn’t read yet so the lines were fed to them, sometimes only one or two words at a time. Most obvious in the line, “All I want is what I have coming to me. All I want is my fair share”. I think it gives an appealing authenticity. 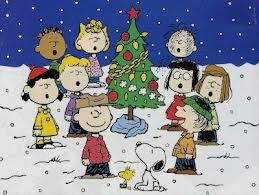 The original broadcasts of A Charlie Brown Christmas includes references to their sponsor, Coca-Cola. I guess Christmas or any part of life is about what you make it.